Our sense of smell influences many physiological pathways including the stimulation of hormones and other metabolic processes. Aromatherapy is founded on the body’s predictable response to specific olfactory stimuli. Essential oils are widely used in aromatherapy applications. 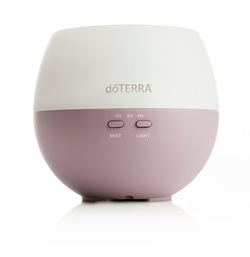 Certain essential oils, when diffused in the air, can be very stimulating while others can be calming and soothing. Beyond emotional benefits, diffusing essential oils can purify air of unwanted odors and some environmental threats. Low or no-heat essential oil diffusers are recommended as they do not change the chemical structure of the oil being diffused. Essential oils can also be used as cleansing and purifying additives to laundry and surface cleaners throughout the home. Due to their natural molecular composition, essential oils are easily absorbed by the skin and can be safely applied topically. Application of essential oils can have immediate, localized benefit to the target area of application. They have restorative and calming properties and can be used effectively with massage and beauty therapy. They are also natural cleaners. The chemical structure of essential oils also allows them to be absorbed into the bloodstream via the skin for internal benefit throughout the body. Essential oils can also be used as dietary supplements supporting a variety of healthy conditions. Some essential oils have powerful antioxidant properties while others help support healthy immune response in cells. Many essential oils are generally regarded as being safe for dietary use, but some oils should not be taken internally. Do not use any essential oil product internally that does not have the appropriate dietary supplement facts on its label. For more resources about how to use essential oils visit our How to use Essential Oils Safely page and our Resources page.